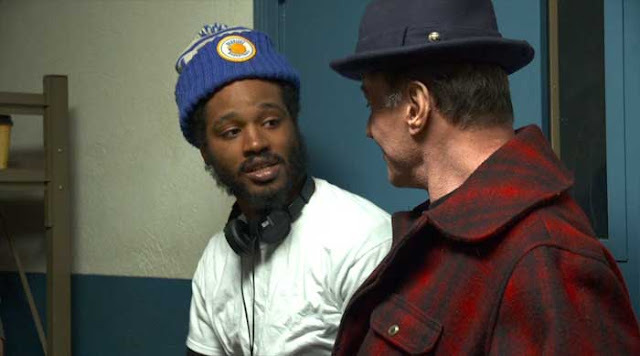 Vulture - "Creed Director Ryan Coogler on Reimagining Rocky and Convincing Stallone"
John Horn: Adonis Johnson is played by Michael B. Jordan, who was your star in Fruitvale Station. But I understand your interest in Rocky goes back. Did you grow up watching these movies? Ryan Coogler: Yes, I did. My father was a Rocky fan. He would watch them as bonding time with me and my brother. We watched the movies constantly and grew to love them through my father. JH: How long ago did the idea for Creed start to take shape? RC: It was around 2011–2012 that I went to film school. I was getting ready to make Fruitvale. Then my father got really sick, and my world kind of crashed. He had a neuromuscular condition, so he was becoming weaker. In the process, he was struggling mentally. I got this idea about telling a story about it. I thought, What if this happened to my father’s hero, to Rocky? That’s kind of when I came up with the idea of Adonis, and the idea of the movie. JH: What was it about Rocky that was so meaningful to your dad? RC: My dad always kind of saw himself as an underdog. But I later found out it was really about him and his mom. She was diagnosed with breast cancer when he was 8 or 9, but she fought the disease for 15 years. My father saw her as an underdog fighting like Rocky. In the last few months of her life, they would kill the time by watching TV. Rocky II was on television all the time. That’s what made the movie so special to him. JH: You’re talking about father-son stories, which are very personal. But with Sylvester Stallone, you’re dealing with a guy who’s very strong. So approaching him with, “By the way, Mr. Stallone, you’re going to start losing it in this movie” must have been an awkward conversation to have. RC: It was. But the thing about Sly is, he’s an artist, an actor. He’s nothing like the characters he became famous for. The only thing he has in common with them is his physicality. But he’s an intellectual — very articulate. He was definitely apprehensive about the idea of people seeing Rocky like this — and the idea of aging and vulnerability — but at the same time, he was excited about a challenge.